The Eden Project took a major step towards establishing its first overseas attraction on February 1 during Prime Minister Theresa May’s trade delegation to China. David Harland, Eden Project International Limited chief executive, signed an historic agreement with Zhao Lintao of China Jinmao Holdings Limited, Eden’s partners in the landmark new attraction in the coastal city of Qingdao. Zhao Lintao is general manager of Eden Qingdao. 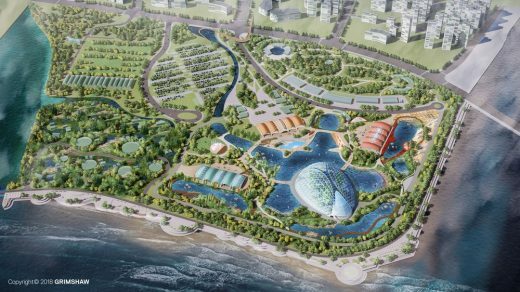 The agreement sets out the terms of the future development of the Eden Project in Qingdao, including design, construction and operation of the attraction. The signing ceremony took place at the British Ambassador’s Residence in Beijing. Eden Qingdao will be themed around water and will feature the world’s largest indoor waterfall, which is set to be more than 50m high – roughly the same height as Niagara Falls on the border between the USA and Canada. The project is due to cost £150m and will create 80 jobs. Construction is due to begin this year (2018) and the project will open to the public in 2020. 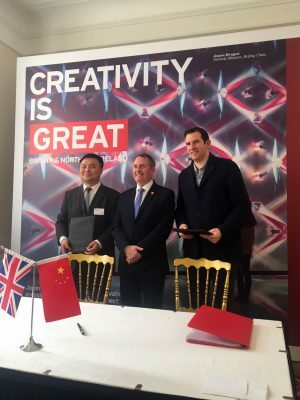 David Harland has been travelling with the Prime Minister, Secretary of State for International Trade Liam Fox and other UK business leaders as part of the three-day trade delegation to China to promote the Mrs May’s vision for a “global Britain”. 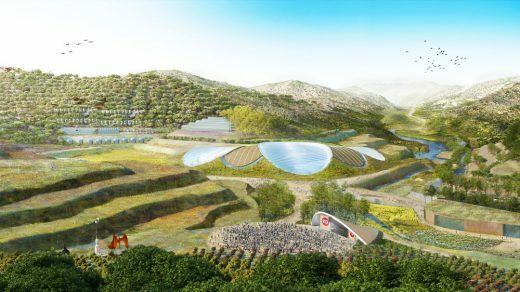 David Harland said: “This is a huge development in the history of the Eden Project and the biggest step we have yet taken towards opening an Eden Project in China. The agreement follows the creation in July last year (2017) of Eden Project International Limited (EPIL), a company formed to drive the establishment of Eden Projects around the world. Eden Project Co-founder Sir Tim Smit is executive chairman of EPIL. The new projects will focus on the big global challenges as defined by their specific localities – such as soil, water, food and biodiversity – and will work in collaboration with a wide variety of organisations, companies, communities, research and conservation groups. Among Eden’s proposed projects in China is one in the historic city of Yan’an, famed for being the end of Chairman Mao’s Long March and north of the Xian, home of the terracotta warriors. Eden has announced that it will undertake pre-planning and early feasibility consultancy work for a project in Jizhou (near the city of Tianjin) in a former limestone mine with the ultimate aim of regenerating the landscape and surrounding area. 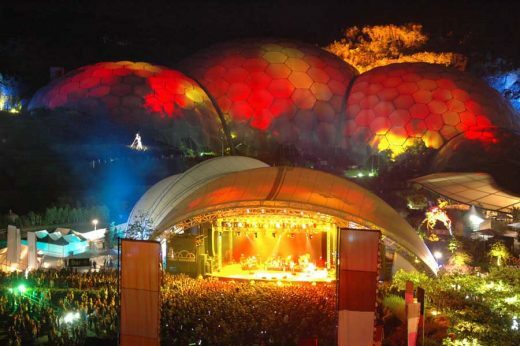 The Eden Project is due to welcome its 20 millionth visitor during 2018 and, since opening in March 2001, has generated £1.7bn for the regional economy. Design is helping to create the first of the Eden Project’s visitor centres in China. 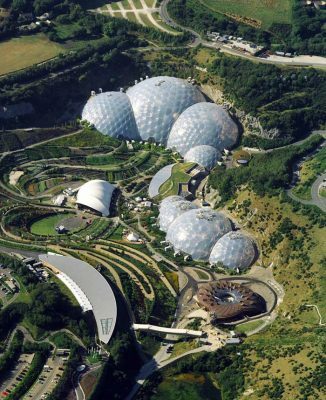 The Eden Project is embarking on developing visitor centres in the US, China and Tasmania. The UK education and environmental charity is planning three for China. Grimshaw Architects and the creative consultancy LDA Design have been appointed to create the first of these – a new ecological park near the port city of Qingdao on China’s east coast. Water sets the framework for Qingdao, and LDA Design and their ecology team will help to create wetlands, freshwater and salt lakes, swales, reed beds, rain gardens and beaches. One of the Eden Project’s key messages is that the world is ours to make better. 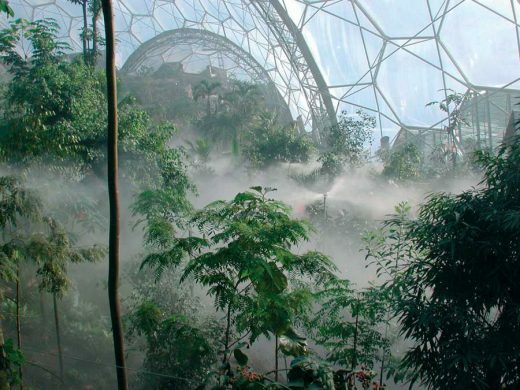 The ecological park will harness Eden’s capacity, proved in Cornwall, to surprise and delight, at the same time as providing an understanding of water purification and how we can go about water protection and conservation. The new park, which is being developed by Jinmao Holdings Limited, is situated on reclaimed land where two rivers meet. The site will draw on China’s 4,000-year-old relationship with the environment as well as the Eden Project’s ecological principles. Since opening in 2001, over 19 million people have visited the Eden Project in Cornwall to discover more about plant life. Built on a former clay pit, the centre – which has become one of the UK’s top visitor attractions – features the world’s largest ‘rainforest in captivity’. It is estimated to have boosted the local economy by £1.7 billion.